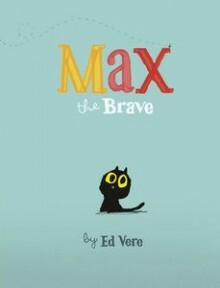 Love this author and find the talking book versions of his books are super! I need to get hold of the first (The Diggers’ Rest Hotel) and the latest (St Kilda Blues). 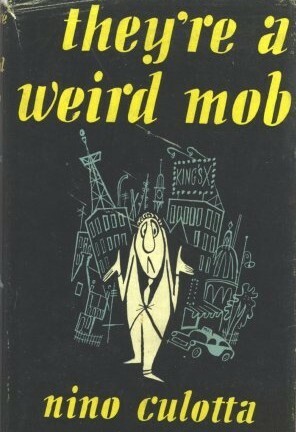 Set in the late 1950s in Melbourne, Detective (and ex Lancaster pilot – all the good ones were in Lancs in Bomber Command, RIP Dad) Charlie Berlin gets hauled reluctantly into a very unpleasant body snatching business (actually, body parts) that is part of a huge conspiracy between our own and the UK/US governments. The plot revolves around the ugly truth of atomic testing in Australia and the dire, hidden radioactive results. Though I still think Fat F***ed and Fifty is my favourite, this was terrifically compelling. As I said after reading the first one, I’m not a Christian but there is something quite endearing about this group of young Christian men and women and their slightly wacky life in Greenville, South Carolina – and their endless quest to find a marriage partner. Relationships in a whole different (godly?) light! Very amusing and sweet. Aside from A Child’s Christmas in Wales, I think this is my first book set in Wales (are you hearing me Roo?). Set in strictly Chapel Pontypridd in the Depression years, this is very character driven. Rife with vicious gossip, two women Alma Moore and Bethan John, natives of the mining sector of this narrow-minded town are beset and besmirched by the prim and often hypocritical tongues of the town. A mysterious Russian, Charlie, is however the central character and saviour of all in this interesting, though not fast paced, story. Will definitely seek out others in the series after this one, aside from the excellent characterisation I learned much about a period of time in a country with whose history I am not very familiar. It had been years since I’d read this and also since I’d seen the movie, but it was definitely worth a re-visit. Much humour and light-heartedness nonsense to beguile much commute time. I believe the ‘voice’ was that of Tracie Bennett who absolutely nailed Bridget’s complete dottiness. This was the absolute stand out of the month. I had always been familiar with the movie and could remember my Dad saying how much he loved the book so pounced on it as I’d never read it. Spoken by Henri Szeps – brilliantly! – I must have amused fellow commuters for days by apparently hysterically laughing in traffic. Do yourself a favour, whether you have only seen the movie or don’t know either – you would no doubt enjoy reading it but get this audio version and revel in the joy of hearing Szeps bring Nino and his eccentric mates to life. (you could download it here. Interesting add on, when I posted having read it to my GoodReads record, found a comment from John O’Grady’s daughter – nice! Thank you for your support of Picture Book Month! 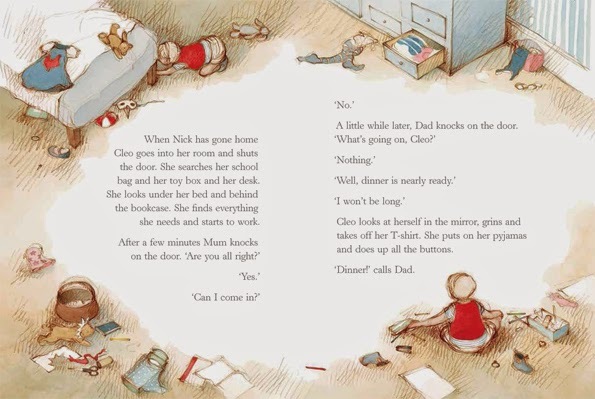 When I first thought of a post a day for Picture Book Month, I had about eight picture books to review and thought perhaps I was crazy because it was the end of the school year with a lot of horrid English marking and other stuff. I want to thank all the publishers who kindly allow me to review their wonderful books and so enthusiastically sent me enough for the month, the lovely feedback from them and authors/illustrators and all the people who have chosen to read the reviews and who have shared them. The last one posted early because today is going to be a tad chaotic and I wasn’t sure if I would have time. Is there a new baby or a toddler in your circle? If so, the inimitable Alison Lester has once again created a beautiful book that would make a perfect first-book gift. 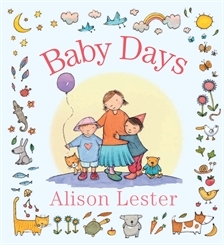 Combining four stories, previously available as board books, into an exquisite single volume with a lovely padded cover, Baby Days is a delightful collection for small humans ‘discovering the world of things they love to do’. Each double page spread is like a snapshot framed in a border, with the signature Alison Lester style, displaying activities that tiny people will recognise and to which they will respond. Little details abound – such as the rather shocked faces of toys who are being speedily pulled along in a wagon attached to a billy cart or the baby eating sand in the sandpit, rather than digging in it. Scenes from the backyard, the playroom, the beach, the park, the farm, the kitchen, Grandma’s place and more will resonate with the small audience and provide much conversation as little ones explore language. In sunshine and rain, whether happy or sad, babies will recognise much that corresponds with their own families and homes. Pop one into the Santa sack of your favourite little human this Christmas! When this fabulous offering arrived in my package on Thursday I immediately knew that Small and I would love it – both being mouse aficionados (today we went shopping for a new little mouse – now called Mousey Two, in honour of a lately departed dear friend). 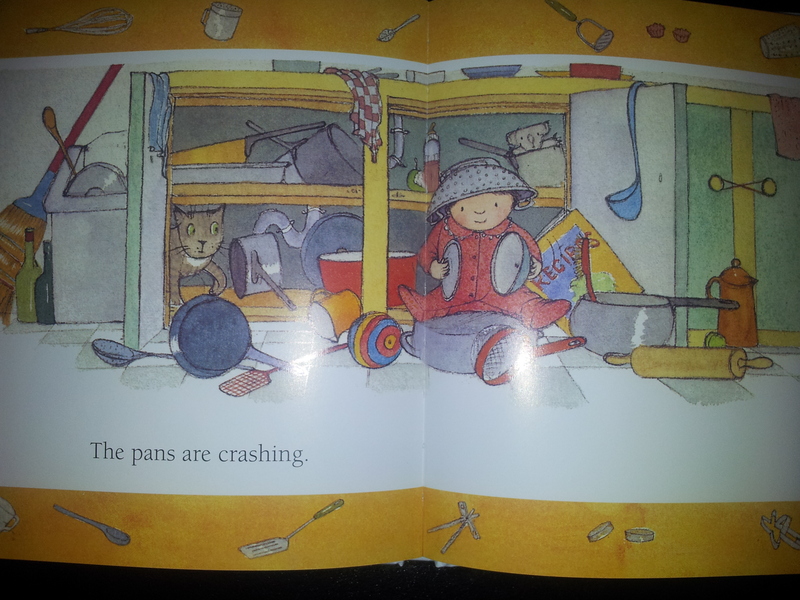 I restrained myself nobly from reading it until last night’s sleepover so that we could both explore it together. What a wonderful experience we shared! From the stunning endpapers of the interiors of mouse circus caravans to each wonderful illustration – the ooohs and aahhhs gained momentum with a climatic gasp of wonder at the amazing fold out centre pages with a detailed view of the interior and exterior busyness of the Circus Roberti big top. No doubt some of you will be already familiar with the first two books but I had only briefly glimpsed the second – Sam and Julia at the Theatre – and am now completely and utterly hooked. 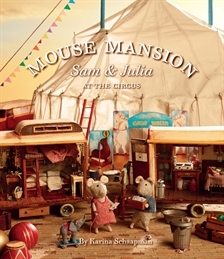 Julia and Sam both live in the Mouse Mansion – with many other families. They are the best of friends and like so many others, complement each other’s personalities. When the Circus Roberti comes to town, the Ringmaster needs someone to sew and cook for the circus’ summer season. Julia’s mum applies for the job successfully and she and Julia set off on a circus adventure that brings a wealth of new experiences for them both. Julia misses Sam very much but they write letters to each other so that each knows all about the other’s daily life. Essentially an illustrated chapter book in picture book format, this is a true joy and readers will spend many happy hours poring over each page finding all the miniature marvels within. To understand the context of these books and their setting, you must find out more about Karina Schaapman and the Mouse Mansion. 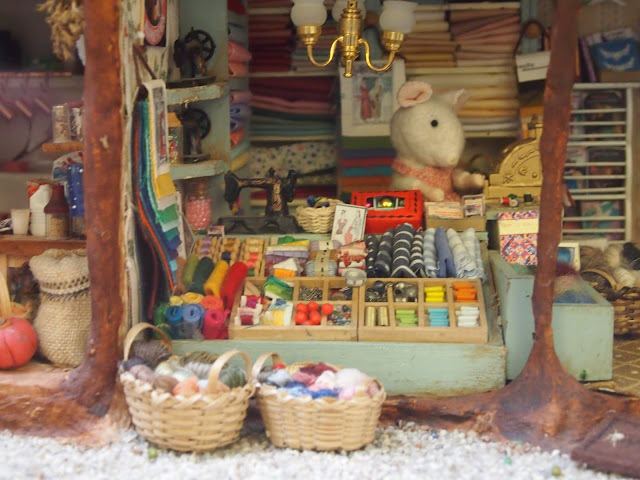 If, like me, you are especially fond of dollhouses, miniatures and the like – and mice – your instant thought will be ‘I want one!’ and the next thought might be – ‘How can we build our own?’. 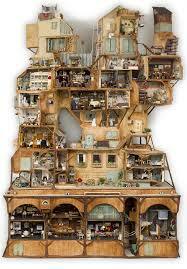 A full page at the end describes Karina’s creation of the Mouse Mansion faced by a full-page illustration of this wondrous 3 metre high dwelling – do spend some time to investigate, I know you won’t regret it! Small and I LOVE this immensely and I know we will continue to explore it’s delightful presentation with rapt scrutiny. I will not be at all surprised if we are reading it again tonight! When the Italian non-reading male in the house picks a picture book off the ever-growing pile that has mounted up on the dining table all month, opens it up and goes ‘Wow – what amazing illustrations!’ – you know it’s something out of the norm. And Graeme Base is definitely something out of the norm – it hardly seems fair that one person can be so talented but for over 30 years Graeme has continued to astound and enchant readers with his astonishing art. His latest book was inspired by a trip to Cambodia and South China – you can read more about that here. 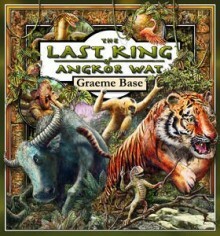 The Last King of Angkor Wat is a fable with themes of wisdom and introspection with four animals all attempting to prove their boastful claims of being the most suited to the kingship, only to be humbled by the astuteness of Elephant. From my first Graeme Base purchase (The Eleventh Hour for #2 daughter who fell in love with it at school, closely followed up by backtracking to buy Animalia for #3 daughter) I, as well as myriad others, have been overwhelmed by his sumptuous artwork. There is really so much to say but no need to say it about this latest title – if you have not yet seen it, be prepared to have your breath taken away yet again! Fans will enjoy this interview from the ABC and if you missed it when it screened here is the transcript from the ABC Talking Heads interview. He has two Bengal Cats called Stella and Atticus. Stella is spotty like a leopard; Atticus is marbled like an ocelot. 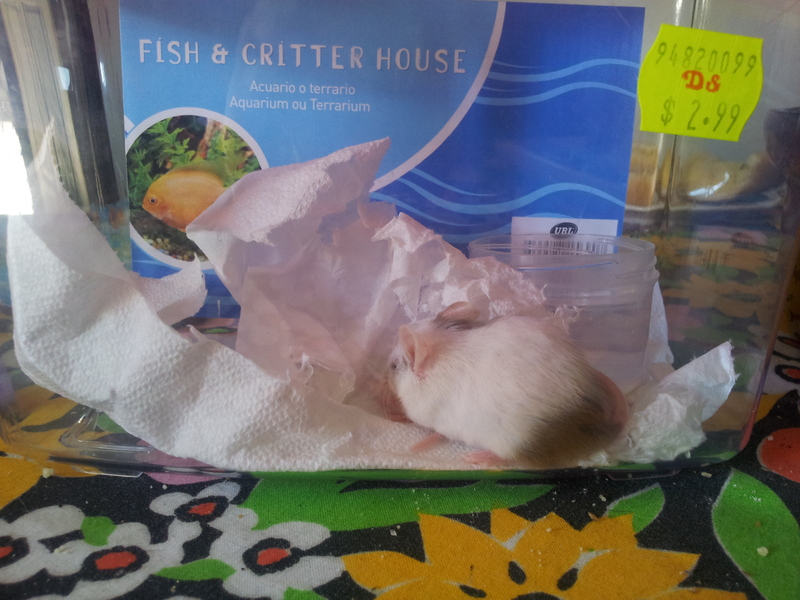 He has a secret way of crushing plastic milk cartons so they take up the least room possible in the recycling bin. He has a strange fascination with quantum physics and astronomy and puts himself to sleep at night by reading New Scientist magazine. He is a keen but so far unknown inventor of games, musical instruments and household appliances including a new kind of vacuum cleaner and a baby-stroller. He learnt clarinet in school and later played alto sax and keyboards in a band called Rikitikitavi. His now-wife Robyn was the lead singer. He has written several musicals based on his books including The Sign of the Seahorse, Gooligulch, The Worst Band in the Universe and Jungle Drums. They have all been performed but not nearly enough! He has a nifty way of winding guitar leads and garden hoses so they don’t get tangled and curly when they are unwound. He has visited 40 of the 50 United States of America and all seven continents, and dislikes airport terminals more than he can adequately express. He has recently rediscovered several big boxes full of old sketches and drawings that have never been published and has decided to start an Instagram post with a new drawing every day – or maybe every second day… we shall see! He has sold over 4 million books in Australia. Voted in the Top 100 Books for Children in the National Education Association 2007 online poll and again in Top 100 Picture Books poll 2012 School Library Journal and still not only in print but becoming available in various formats, Corduroy was initially rejected by Freeman’s publishers, Viking Press. What a loss it would have been had they not reviewed their decision at their second opportunity. Freeman’s story of the endearing teddy who wants a home and the little girl Lisa, who sees in him a special friend, has remained a constant favourite for children around the world for almost forty years. 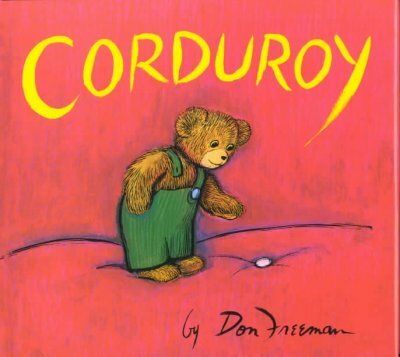 Corduroy, is a little bear on a shelf in a department store and longs to go home with someone special. When Lisa and her mother come in to do some shopping, Lisa desperately wants to be that someone special but her mother (as mothers do) says she has already spent enough money and that besides, Corduroy is missing a button from his overalls. Corduroy is very sad and spends the night roaming the department store searching for a button, having some minor adventures and finally being thwarted by the security guard. Undeterred by her mother’s negative response, Lisa goes home and carefully counts out the money in her piggy bank and triumphantly returns to the store the following day to buy her little bear. Taking him home to his new room and his very own bed, Lisa sews a button onto Corduroy’s overalls and cements the beginning of their friendship and hugs. As a passionate arctophile (a condition inherited from my Father Bear) this was always one of my favourite titles to share with small people. In my Year 1 classes years ago, our introduction to information report genre writing was centred around literary offerings about bears and this title and its follow up were always warmly received. Later in the library, I have continued to use this whenever doing a compare-and-contrast current picture books with classic ones. The story has never had a negative response from my audience. The story was successfully made into a film version by Weston Woods in their valuable series – do spend a few moments to relive the magic by following the link. You may also enjoy these comments by Don Freeman about The Story About Corduroy. I am personally very excited to see that the Puffin Storytime book & CD series include both the titles and they are already on their way to my shelves. You just know when you pick up a book created by this pair of very talented individuals, that you are in for a real treat. Certainly, this is no exception! Cleo is six and like most little six year old girls loves her family and her friends very much. She also loves necklaces and presents and in these two stories, her imagination and ingenuity come to the fore – amid some tiny mishaps. When my eldest daughter was this age, she came home from school one day asking for pink court shoes because ‘everyone’ at school wore them. 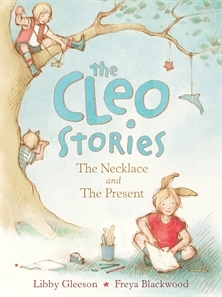 So when I read The Necklace with Cleo asking her parents for a necklace because ‘everyone’ else has one, I laughed with the reminiscence. As Mum and Dad kindly point out, three friends do not make ‘everyone’ and necklaces are special presents, not everyday gifts. Undeterred, Cleo is inspired by her clearly much-loved Uncle Tom and comes up with a highly creative solution! Cleo’s next dilemma is trying to think of just the right present for her Mum’s birthday. Having only a few coins in her piggy bank doesn’t allow for buying something expensive and flashy, she doesn’t want to ‘share’ in Dad’s present, she doesn’t think helping Dad cook dinner is much of a present so what can she do? She wants to give Mum a proper present, wrapped up and tied with a bow. Then once more, her imaginative little mind results in the most perfect present Mum could ever want! This is a gorgeous book – with sweet gentle stories which will resonate with little people, especially girls, and the ever-beautiful illustrations of Freya Blackwood (oh those endpapers!!! Just lovely!). I am put in mind of the simple but charming stories of Milly-Molly-Mandy from so long ago – stories which still engage young readers. I foresee this will be in the 2015 shortlist – and deserves to be. Imagination, creativity and values which we should be encouraging and nurturing in our small humans imbue the text throughout. If you have a special little girl in your life – this will make a treasured gift – and for your newly independent readers wanting to move into a lengthier picture book, a perfect addition to your library shelves. Check out Libby’s website and also Freya’s. 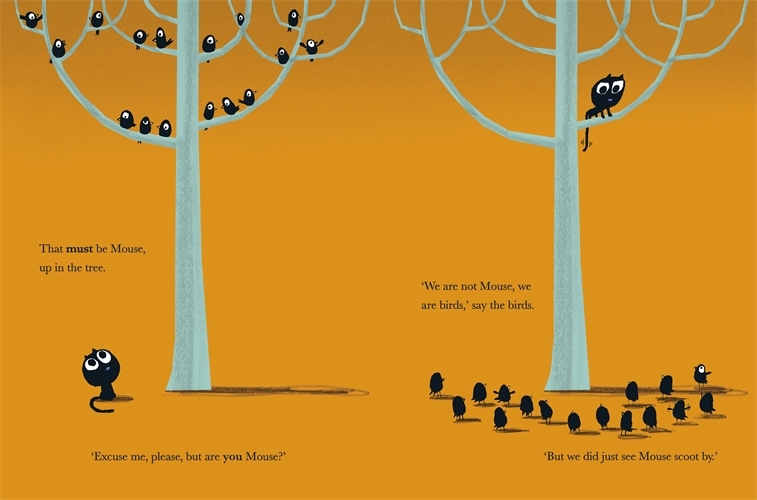 Coming hard on the heels of Small and I cooing over a very small, very playful black kitten at the pet shop on Saturday, we shared this absolutely gorgeous book from Ed Vere. Max is a fearless kitten. Max is a brave kitten. Max is a kitten who chases mice. But what does a mouse look like? Max is the sweetest tiny black kitten with loads of personality. Off he goes to discover Mouse because after all how can he bravely hunt an animal if he doesn’t know what it looks like? Children will just love Max’ quest as he comes across the various animals trying to discover Mouse. I was not familiar with Ed Vere’s work until seeing this book but just adore his illustrative style and will certainly be looking out for more. This one is a keeper as we are very much ‘kitten’ folk! Big and small people alike will enjoy this clip of Ed demonstrating how to draw one of his popular characters. 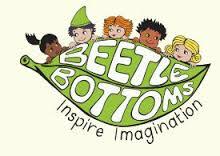 Highly recommended for little people from around 3 years up! This delightful picture book from a new talent in the industry was a great hit when Small and I read it together on Saturday night. A little boy and a little bear lived together and all was wonderful until they both started to grow and as one might expect the bear was suddenly MUCH bigger than the boy. So much bigger in fact that living in a house no longer seemed the best option for him. So they begin their quest to find Bear a suitable and happy home. 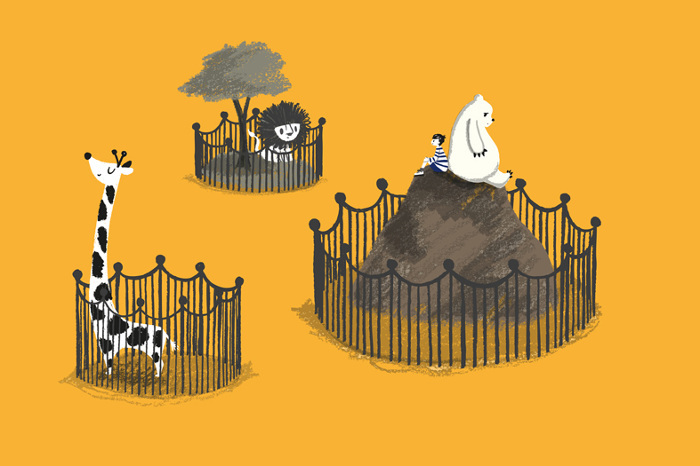 Young readers will love the delightful refrain as the pair explore each possibility – the zoo, the jungle, the pet shop and more – in turn and each is rejected because Bear finds them unsuitable. 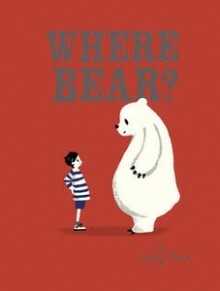 But ‘Where Bear?’ asks the boy…until finally they find the very perfect place for a very large Bear to settle down and raise a family of his own. Like so many enduring friendships, just because the boy and the bear now live in separate places does not mean they no longer enjoy their same close relationship. Chatty phone calls and even shared ‘holiday’ expeditions ensure their closeness remains. This is a gorgeous book with simple resonant themes – the skilful illustrations are typical of Sophy’s artistic style after exploring her website. Children will enjoy the tenderness between the two and the opportunity to share their own stories of friendships – including those where friends may have moved away. 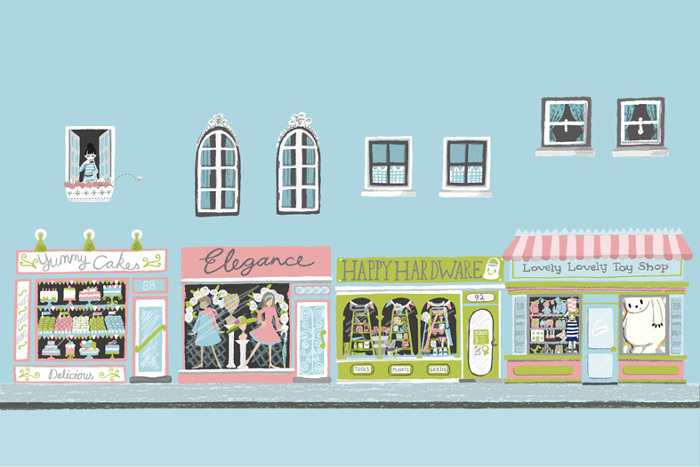 Sophy has also been appointed the official illustrator for World Book Day 2015. 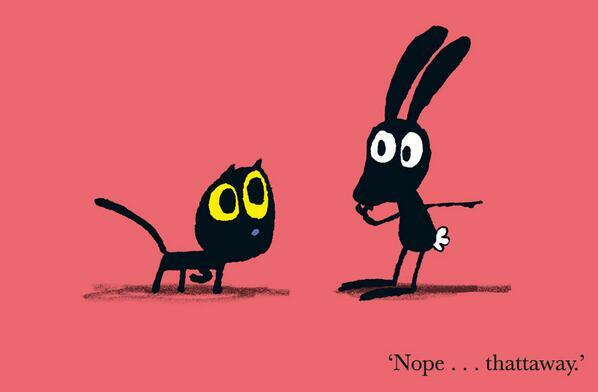 Sophy has a new picture book being released next year and I look forward to seeing that one – as I’m sure does Small. The most extraordinary thing about this book – which is great! – is that when I first read it, my immediate reaction was that it was almost identical in its text as one I created for a maths resource when I was at uni doing my teacher’s degree! Mine was pretty dodgy with cut out ‘lift the flaps’ of dinosaur wrapping paper images to hide the subtraction algorithm but it was quite astonishing how closely Paul Stickland’s writing and mine coincided! Perhaps I have missed my calling after all! 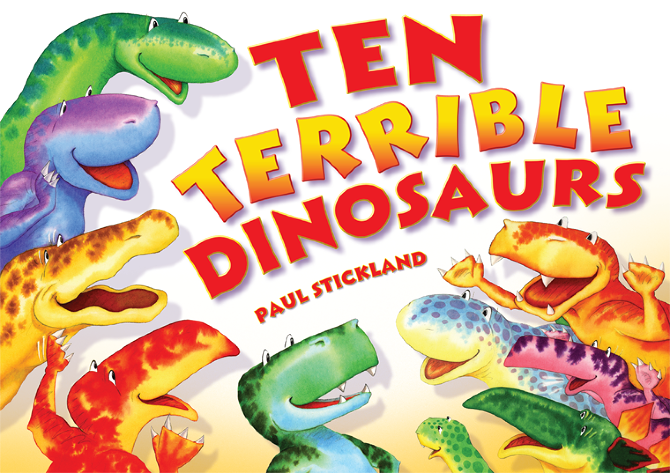 All that aside, this a fun book in the Dinosaur Roar series, which are not only fun reads but teaching tools as well. A story of diminishing numbers from 10 to 1 accompanied by wonderfully colourful illustrations of extremely expressive dinosaurs which Small and I very much enjoyed last night. If you are looking for some new maths/literature resources for next year, this might well be a good choice for your Preps. Check out Paul Stickland’s website and the Dinosaurs Roar website.